Unlike conventional merchant accounts, our pricing is simple and transparent: 2.69% per swiped transaction. If for some reason you need to key-in the card, 3.49% and 19¢. You never pay anything besides the per transaction rate. Scout’s honor. Unlike other companies that only give you email support, we give you 24 x 7 Live Merchant Account Support. When you call, we answer the phone ready to assist you with anything you need and we do it with a pleasant attitude! When you email, we respond personally and quickly, usually within the hour! From our experience, that’s a pretty rare characteristic to find in our industry. 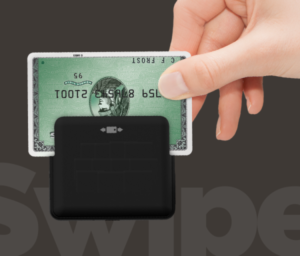 We think Mobile Phone Swiper is by far the best product for mobile credit card payments. Mobile Phone Swiper allows you to create an inventory list of your products including pictures, email receipts to clients, capture their email address for future marketing, and create multiple logins amongst many other features. We understand that life doesn’t always go as planned, so if for any reason you decide not to use your Mobile Phone Swiper reader and account, there’s no hassle or costs to cancel. Just give us a call and we’ll handle the rest. Our services adapt to your needs. If you make over $1000 in a week, we won’t hold your money for 30 days like many other mobile process providers. Our app and service is built for small and large business alike. Quick response, quick set up, quick delivery. Most accounts are approved the same day they are submitted. 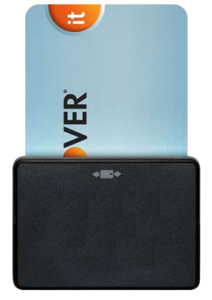 And if you need your card reader the next day, we can make it happen.